All of this comes after Stewart and Sanders publicly apologized for having a romantic affair (Stewart was in a long-term live-in relationship with her Twilight co-star Robert Pattinson, while Sanders is married with two children). It’s unknown if the studio decided to axe Stewart from the sequel because of this, but things would be awkward between the two if she had returned. Also, for the first film, Stewart has the backing of the massive, very loyal Twilight fanbase behind her and she’s receiving some serious backlash from said fanbase. Obviously Stewart was the headline actress to look out for in the film, and whether her absence will hurt the sequel remains to be seen, though it seems Universal is now banking on the star power of Hemsworth, who plays Thor in the Marvel universe films, Thor and The Avengers (and the upcoming Thor: The Dark World). 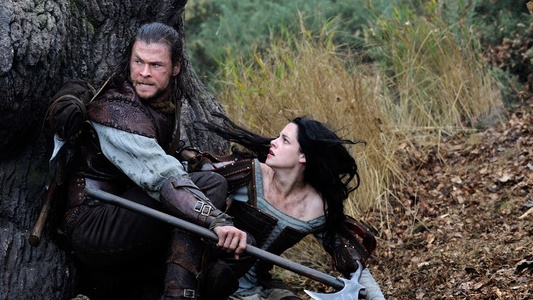 The Snow White character was expected to return for at least one more sequel and that the Huntsman would be the focus of attention in the third film. But now those plans have been scrapped, it is unknown if Universal wants to continue with pursuing a direct sequel. So Universal is in the process of finding a new writer for their Huntsman spinoff and hopes they can find one before they start filming in July when Hemsworth completes his work on Thor: The Dark World. Do you think that Universal made the right decision by dropping Stewart from this film franchise?